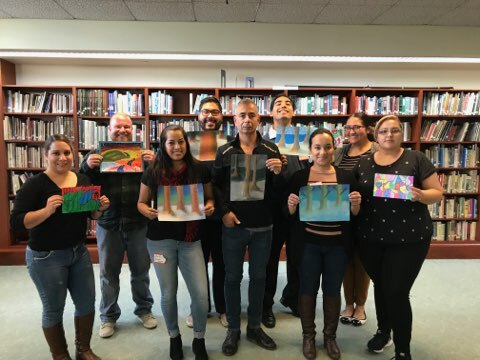 A wildly successful and exciting Art Trek 4 Teachers training this past Wednesday, sponsored by Speciality Family Foundation in Los Angeles, CA. Workshop led by Gerri Wendel. Amazing Hockney Hills and Trio of Trees Lessons were completed. Posted on January 12, 2018 by Cordelia Miller and tagged Art Trek SFF Training art trek 4 teachers hockney hills Trio of Trees.